Both the Prime Minister and the Deputy Prime Minister have kicked off the Alternative Vote (AV) voting reform referendum. But, it’s an odd situation. Because the Prime Minister is against the Alternative Vote voting reform. And the Deputy Prime Minister is in favour. As we gathered with this Nick Clegg AV speech. 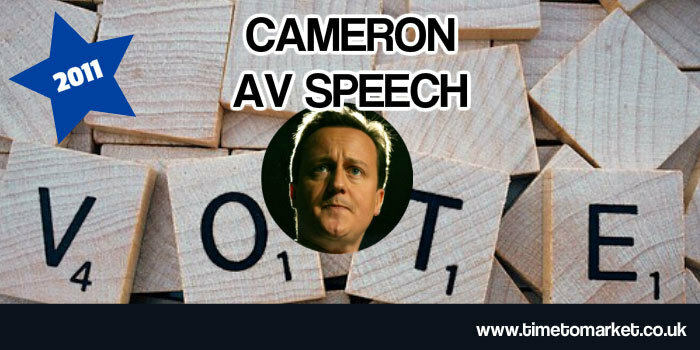 So, A David Cameron AV speech was needed to set the record straight. And that was the beginning to this speech. His introduction focused on all that unites the coalition government and ended with the voting reform…on which they disagree. A fantastic use of contrasts…a great rhetorical technique. His introduction set the scene with distinction. He stressed the personal camaraderie between the Prime Minister and the Deputy Prime Minister. Was this, perhaps an analogy for the relationship between Westminster Tories and the Liberal Democrats? Speaking with notes from a lectern he had an incongruous backdrop to his performance: rows of book ends…giving the impression that he was speaking to us from the library at the club. Perhaps he was. He’s fond of short sentences right now. Some very short. In his introduction he used a series of three sentences to explain his position…and dropped in an in-joke dating back to the televised Leaders’ debates before the 2010 General Election. On this one, I don’t agree with Nick. But this is not a source of tension. And it’s not a coalition breaker either. Short sentences ran throughout his speech, not just his introduction. That was undoubtedly purposeful. The alternative vote voting system is complex. His speech stressed its complexity…with great simplicity. He’s not afraid to use other rhetorical devices such as, this not that. In this example he combined it with some repetition for added emphasis. Rational debate, not tribal dividing lines. Reasoned announcements, not headline grabbing statements. And there are differences of opinion between us–not rancour but respect. One–it would lead to outcomes that are unfair. Two–it is a voting system that is unclear. Three–it means a political system that is unaccountable. The problems of AV became the dominant thread for his speech as he dwelt upon them without reinforcing the sheer brilliance of the current system. This was after all a campaigning speech! There were momentary lapses of speech writing focus. We grew used to them with the output of the last Prime Minister, but they are still out there. How about this for non-speak? And we have tried to deliver this agenda in a different way. Set agendas, Yes. Agree agendas, Yes. Deliver agendas, No. He cited some good evidence in this speech to support his case. Evidence that reinforced his argument. But we were left feeling that much was missing. This wasn’t intended as a balanced case. The idea that everyone has an equal voice and an equal vote is deeply enshrined in our existing electoral system. The principle of one person, one vote is what makes our democracy fair. But he didn’t note that Northern Ireland has years of experience of the single transferable vote system. He didn’t mention that no one votes for the House of Lords. He didn’t refer to the point that no one votes for the President of the European Council. And he didn’t note that people were simply given the current system in 1928 when we finally had universal adult suffrage. This was a good example of a campaigning speech. Its evidence was certainly too subjective to be called balanced. A reasoned speech but not a balanced speech. It could prove a weighty three months before the referendum. 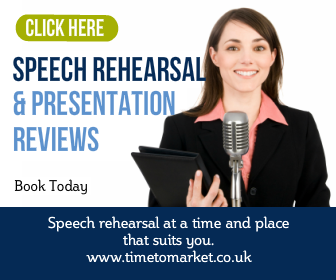 You can always aim to give your public speaking skills a real boost with our series of public speaking tips. 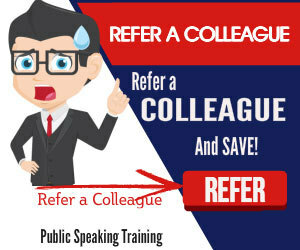 And, when you are ready to progress further, please don’t hesitate to get in contact about public speaking skills training.